Conspirare Youth Choirs‘ popular holiday concert will include seasonal works by Bob Chilcott, Eleanor Daley, Ralph Vaughan Williams, and J.S. Bach, plus an arrangement of Camille Saint-Saën’s treasured Ave Maria. Highlighting the performance will be Magnificat by Italian Baroque composer Nicola Porpora, with organ accompaniment. 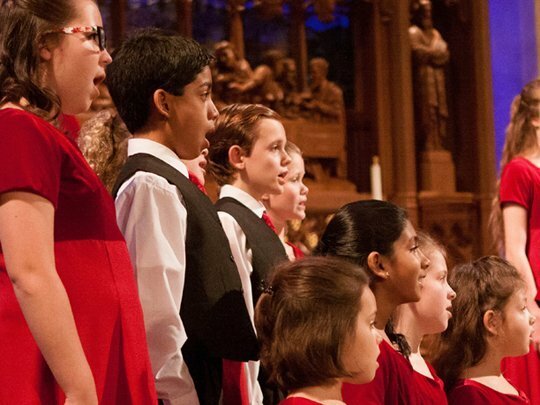 Let this captivating program by Conspirare’s youngest choristers fill your season with inspiration and joy.